Today the highly anticipated launch of Destiny 2 has taken place making it available on the PlayStation 4 and Xbox One. The PC version of Destiny 2 will be launching next month on October 24th, 2017. Check out the launch trailer below to learn more about what you can expect from this sequel which has once again been created by the development team at Bungie and published by Activision. 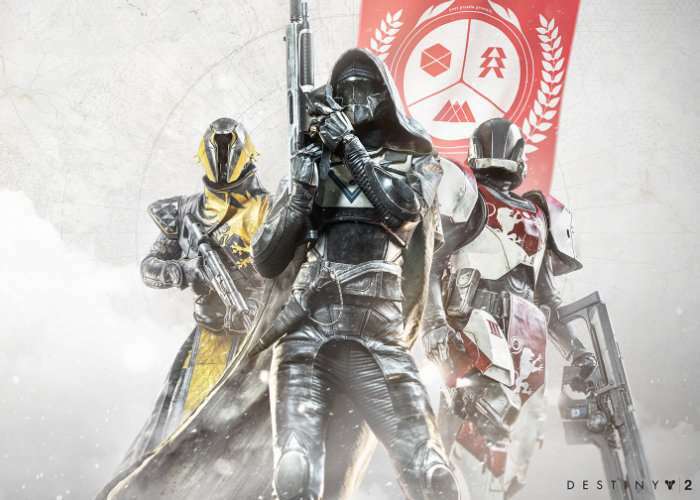 The action role-playing game provides both single player and multiplayer modes, with Destiny 2 featuring more enhanced ways for players t0 matchmaking called “Guided Games”, enabling players to search for clans to take part in missions such as strikes or raids. • Rich cinematic story campaign. • Multiple cooperative game modes for epic, social fun. • Intense 4v4 competitive multiplayer matches, including over 12 different PVP modes. • Expansive, never-before-seen worlds and spaces to explore. • Customize your character’s weapons and armor with an all-new array of gear. • Discover Lost Sectors, complete new Adventure missions, or rally to Public Events with other Guardians. • Introducing a brand new Guided Games system that helps players find like-minded groups to experience Destiny 2’s most challenging activities, like the Raid.